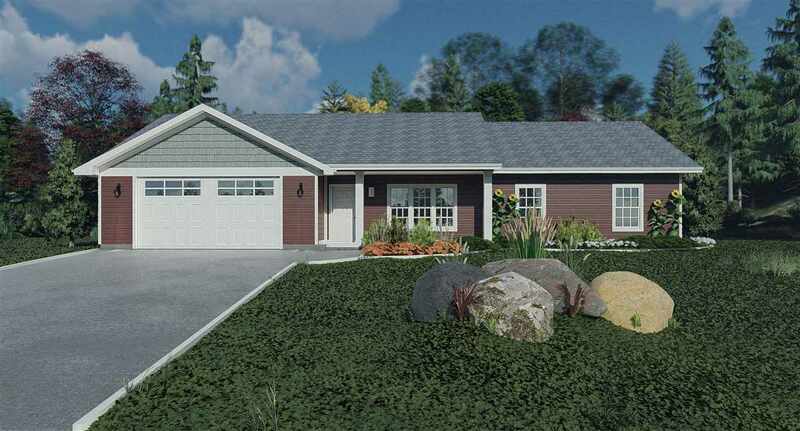 New construction ranch home located close to schools & shopping on 0.31-acre open lot. This 3 bedroom, 2 full bath home features 1st-floor laundry, cathedral ceilings, custom maple cabinets, a center island, extra large pantry, stainless steel dishwasher & microwave & dinette with patio doors leading to the backyard. Master suite features a walk-in closet & private full bath. Bedrooms grouped on one side of the home. Extra deep 2 car attached garage. Covered front porch. Home includes passive radon system and a 1-yr home warranty. Main photo is similar but may not be exact. Directions: Hwy 141 N To Hwy 22. Left On Highland Dr, To Right On Eagle Dr. Destination On The Right.